Have you ever looked at the safety instructions for one of the cleaning products around your house and been a little confused about what some of the symbols and acronyms mean? It is difficult to feel confident that you are using the product correctly when you are unfamiliar with the safety precautions. Now think about how stressful it could be to handle a deadly chemical at work if you do not understand its safety information. Maybe you are one of the 43 million employees across five million jobsites involved in the manufacture and handling of hazardous chemicals and this situation is all too real for you. Accidents and injuries that occur due to hazard communication safety blind spots are 100% avoidable, so let’s take a look at what is being done to reduce this risk exposure to workers, as well as management’s role in building strong safety behaviors associated with the handling of chemicals. OSHA has recently taken great steps toward eliminating safety incidents caused by the improper handling of chemicals. Specifically, they updated the Hazard Communication Standard (HCS) to be aligned with the Globally Harmonized System of Classification and Labeling of Chemicals. 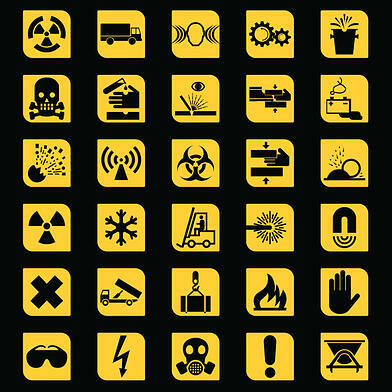 The HCS requires manufacturers and importers to classify the hazards of each chemical, and to provide employers and employees with hazard information in the form of container labels and safety data sheets. However, no standard classification system existed in America until these changes were made. Lay out a vision for reducing accidents to gain employee buy-in to the new system. Embrace change by actively supporting the change and involving employees in the implementation. Act as a coach by thoroughly training employees to be proficient with the new system and providing positive feedback when employees use the system correctly. Demonstrate credibility through proactive efforts to adjust their operations to the new system. Beyond updating their classification systems to the new standard, managers must maintain effective communication with employees about the safety information for the chemicals they handle and any changes to the handling protocols that may arise so that they have everything they need to perform their jobs as safely as possible. The standard classification system will only reduce the number of safety incidents if the hazard information for a chemical is clear to the employee handling it.